In recent years, the adoption of Building Information Modeling (BIM) in the AEC industry has been accelerating worldwide. 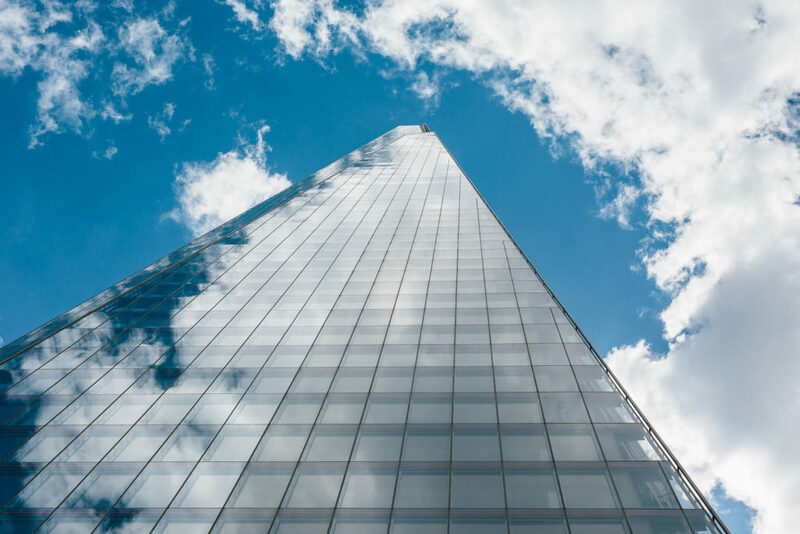 All countries adopting BIM are commonly recognizing the limitations of the existing CAD, and noting the potential of BIM to bring a paradigm shift – similar to what CAD initially brought. Over the past decade the construction sector in the developed world has adopted BIM in a big way. Countries like the United States, the United Kingdom, the Netherlands, Singapore, South Korea, Japan, Hong Kong, and Australia have mandated the usage of BIM in public sector. The degree of awareness and acceptance of BIM in emerging economies such as India however is still in its nascent stage. BIM has the potential to provide significant benefits to Indian AEC industry. Considering the high volume of real estate and infrastructure construction activity India is witnessing, BIM, if deployed appropriately, can provide significant savings, enhance the quality of the built environment that gets delivered and allow the industry to make expected contributions to the growth of the country. The lack of practical knowledge and limited understanding regarding BIM is one of the many challenges for BIM adoption in India. Through the series of upcoming blog posts we aspire to increase the local BIM awareness. When the concept of BIM is introduced to beginners for first time, it is almost always followed by BIM vs CAD discussion. By addressing the basic questions regarding BIM & CAD, this article aims to provide basic understanding regarding the subject in this context. What distinguishes BIM-based systems from CAD-based systems? CAD is based on 2D drawing elements and is a fragmented process of multiple files. CAD has evolved to 3D, however, the 3D models produced by CAD are graphical entities only and have no intelligence at the object level and cannot support data integration and design analysis. BIM involves modeling in 3D with intelligent data parameters being assigned to individual entities. It is a database of information about a building for design, validation, construction and lifecycle maintenance; not just construction documents. BIM is virtual construction that is analytical and quantifiable. In a traditional CAD-based workflow, each view is drawn separately with no inherent relationship between drawings. In this type of production environment, the team creates plans, sections, elevations, schedules, and perspectives and must coordinate any changes between files manually. In a BIM-based workflow, the team creates a 3D parametric model and uses this model to generate the drawings necessary for documentation. Plans, sections, elevations, schedules, and perspectives are all by-products of creating a building information model. 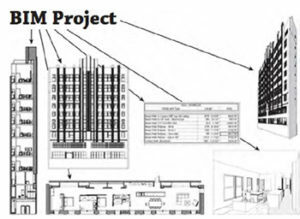 BIM, or Building Information Modeling is the act of creating a virtual model of a facility for the purpose of visualization, engineering analysis, conflict analysis, code criteria checking, cost engineering, as-built product, budgeting and many other purposes. It is a process that enhances collaboration resulting in improved information management and an overall leaner process. To sum it up, BIM is a modeling technology and associated set of processes to produce, communicate and analyze building model. What softwares can be used for BIM? Under the BIM umbrella, there are many software applications that lead to an efficient design of a space. Autodesk Revit is one such application which has the ability to parametrically capture design intent and facilitate model creation. Some BIM softwares are designed to perform certain functions which Revit either has minimal functionality to do, or, cannot do at all. However, revit model can be integrated with such softwares to facilitate this functionality. For example, applications like Ecotect, Green Building Studio and IES VE which are designed to test the efficiency of a design with regards to the environments impact on it and its impact on the environment. Navisworks, another BIM application, brings building information models from various disciplines together in a single environment to see how they physically interact allowing designers to analyze clash detection. Apart from above mentioned tools other BIM applications are ArchiCAD, Vectorworks, Bentley Systems to name a few. How is Revit different from AutoCAD? AutoCAD can assist in producing 2D drawings and AutoCAD-based projects are typically set up by having individual files representing individual drawing-types (i.e. plans, sections and elevations). In Revit, you create a single virtual 3D model of your project. It allows you to view this model in a variety of ways including: floor plans, elevations, sections, ceiling plans, details, 3D views and schedules. Further, you can edit the model from any view and changes automatically appear in all other views. Since there is a single model that is simply displayed as a plan, elevation, section, schedule or 3D a change to one view is a change to all. Views cannot get out of synch. By itself, this feature alone can be enough to justify using Revit over more traditional approaches where there are dozens of disconnected drawings that represent same portions of the project and must be manually coordinated. How does interoperability between Revit and AutoCAD works? The design and construction of a building is a team activity. Each activity and each type of specialty is supported and augmented by its own computer applications. Interoperability is the ability to pass data between applications, and for multiple applications to jointly contribute to the work at hand. Interoperability between Revit and AutoCAD is very simple and user friendly. It is possible to import 2D AutoCAD dwgs into Revit and create a 3D model out of it or use them for coordination purpose. Also Revit views can be easily exported to AutoCAD in cases where consultants do not use Revit and need drawing files in 2D format. 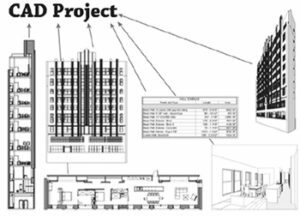 However, it is always highly recommended to have all consultants work in revit to ensure accuracy of coordination, optimized project results and greater efficiency of design team. Now that we know this..what’s next? The next in series is ‘Benefits of BIM to Owners’. We will dive into details of how the facility owners can achieve better performing buildings and reliable delivery process by utilizing BIM resulting in significant time and cost savings. Chuck, E., Paul, T., Rafael, S., Kathleen, L. (2011). BIM Handbook A Guide to Building Information Modeling for Owners, Managers, Designers, Engineers and Contractors. John Wiley & Son. James, V., Eddy, K. and Brendan, D. (2015). Mastering Autodesk Revit Architecture 2016: Autodesk Official Press. Computer Integrated Construction Research Program. (2013). “BIM Planning Guide for Facility Owners”. Version 2.0, June, The Pennsylvania State University, University Park, PA, USA. Available at http://bim.psu.edu. Mohammed, A., Anil S. Special Issue on Building Information Modelling (BIM) in the Developing Countries. International Journal of 3-D Information Modeling, 2(3), iv-v, July-September 2013. Cheng, J.C. and Lu, Q. (2015). A review of the efforts and roles of the public sector for BIM adoption worldwide. ITcon, Vol. 20, pg. 442-478. Anil S. State of BIM Adoption and Outlook in India. RICS Research 2014. RICS School of Built Environment, Amity University.